This premium Power&Soul 160 Shower Slider Rail Kit is perfect for upgrading your shower. 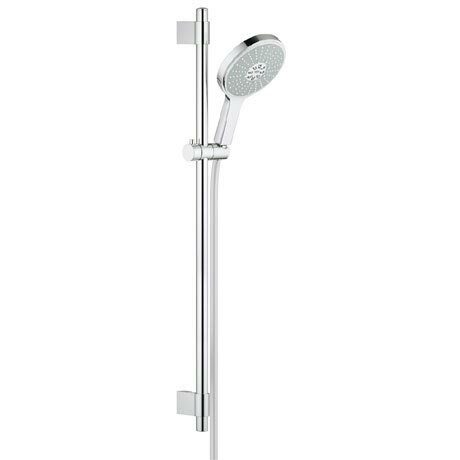 The kit consists of a 900mm shower rail, 1750mm shower hose and a luxury shower head with 4 spray functions - GROHE Rain O2, Rain, Jet and Bokoma Spray, all of which deliver a revitalising showering experience. For quick and easy installation the wall-mounting brackets of the shower rail can be adjusted to use existing drill holes or position them in the joints between tiles.